Gigantino, ed. : "SLAVERY AND SECESSION IN ARKANSAS: A Documentary History"
To the great consternation of the more firebrand elements in Arkansas, the dominant political force in the state during the secession crisis of the winter of 1860-61 were the unionist "cooperationists." It would take the firing on Fort Sumter on April 12, 1861 and President Lincoln's call for volunteers from every state to crush the rebellion to swing Arkansas and the rest of the Upper South toward secession. 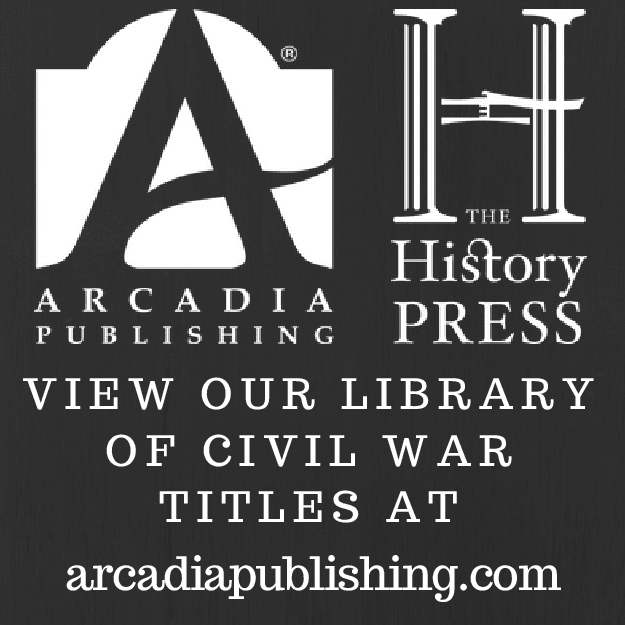 "(C)ontemporary pamphlets, broadsides, legislative debates, public addresses, newspapers, and private correspondence" related to this turbulent period, 80 in number, have been selected by editor James Gigantino for inclusion in Slavery and Secession in Arkansas: A Documentary History. Taken together, these historical records form a powerful argument that southern fears over the future of slavery were at the nucleus of nearly every secession debate in the state. 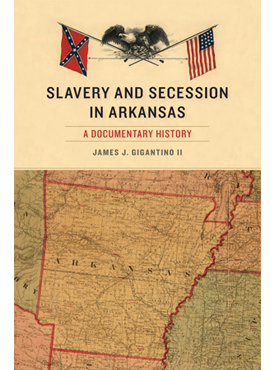 Gigantino's introduction serves as a concise overview of the political and economic history of Arkansas from early statehood through the spark of Civil War. During this time, Arkansas politics were dominated by The Family (a.k.a. The Dynasty), a Democratic alliance of Conway, Sevier, and Johnson families and their supporters. The 1850s witnessed an economic boon in the state, largely the product of slave agriculture in the eastern and south parts of the state, although modern internal improvements like railroads lagged far behind. By the end of the decade, opposition to the more conservative order (which generally shunned the national debates over slavery) gained in strength, with anti-Family politicians Thomas Hindman and Henry Rector rising to power. In addition to changes in political leadership, the small farmers of northern and western Arkansas increasingly found their interests in conflict with the planters of the west and south. In the first chapter covering the period prior to the 1860 election, future Confederate general Thomas Hindman lays out the case for disunion after a Lincoln victory. The prospects of a Republican presidency sparked intense debate and chapter two includes related political speeches and legislative and county resolutions and petitions. These documents make clear the arguments of both sides, with the pro-secession citizens and counties arguing for disunion as essential to the protection of slave property and the only honorable recourse to the North's attempts to bar slavery from the territories and nullify federal fugitive slave laws. On the other side, Arkansas's cooperationists strongly believed that slavery was best preserved within the federal union and secession could not be justified merely by Republican electoral victories. Both sides were united in opposition to the Republican party and believed the slave states to be the aggrieved party in the sectional debates but the cooperationists required an "overt act" of "coercion" before they would even consider the extreme measure of secession. The many county resolutions included in the book, for and against secession, are perhaps the strongest documented indicators of the ranges of popular opinion and they also serve to highlight the geographical divisions within the state. The broadsides, letters, and public addresses in the next chapter offer insights into the political stances of the various candidates to the upcoming secession convention. After the February 18 votes were tallied, it was clear that the cooperationists would dominate the convention, it was also obvious that most of the opposition to secession was conditional, that military action on the part of the federal government would not be tolerated and a negotiated adjustment with the North would be required that would satisfy southern grievances. The documents related to the March 4 convention are comprised of broadsides, speeches, resolutions, and early twentieth century remembrances of the event. Appeals to both sides are presented, including those from Confederate commissioners sent to Little Rock to lobby for secession. 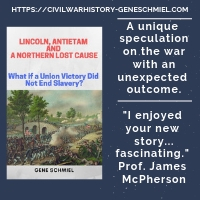 The final chapter contains documents mostly from the period after the firing on Fort Sumter on April 12, an event that in conjunction with Lincoln's call for volunteers prompted a mass conversion of Arkansas cooperationists into the secessionist fold. The convention reconvened in early May and this time, the secessionists prevailed with only five dissenters (four of whom switched sides for the sake of consensus, leaving Isaac Murphy as the lone unconditional unionist delegate). Fears that delaying secession might prompt a breakup of the state did not come to pass but they did presage the bitter internecine conflict that would characterize much of the Civil War experience of the state, especially in the northwest. Slavery and Secession in Arkansas should be read by not only serious students of Civil War Arkansas but anyone previously swayed by persistent modern arguments that southern secession had little or nothing to do with slavery. The primary source documents compiled by Gigantino and reproduced in their entirety in the book leave no doubt that the keystone of the secession movement was the protection of slave property rights and the social and economic system that accompanied it. "On Valor's Side: Tom Green and the Battles for Early Texas"
A good argument could be made that General Tom Green of Texas by way of Tennessee was the best cavalry commander that the Trans-Mississippi Confederacy had to offer. As far as I know, only two biographies have been published to date: Odie Faulk's General Tom Green: A Fightin' Texan (Texian Pr, 1963) and On Valor's Side: Tom Green and the Battles for Early Texas (Dogwood Pr, 1999) by Brian Sayers. Both works are frequently cited in the literature. I've never seen or read Faulk's bio but recently borrowed a copy of On Valor's Side to peruse out of curiosity. It's a rather brief treatment of Green's life and military career, running only 190 pages (including chapter notes, illustrations, and bibliography) in a small 5.25 x 8 trade size paperback. In addition to Green's military service during the Texas Revolution, the Mexican-American War, and the Civil War, Sayers covers Green's upbringing, his marriage and home situation (which included generous mass adoption of orphaned children from his wife's family), and as his various work pursuits and political appointments. Fighting with Sam Houston's army in Texas and later with Zachary Taylor's command in Mexico, the latter described in some detail in the book, made Green a hero in his adopted state. The book's account of Green's Civil War service is broadly inclusive, if a bit imbalanced and inconsistent in depth. While Sayers incorporated some Texas based manuscript resources into his narrative, the Civil War content is largely based on published sources. Much of the emphasis is placed on the disastrous New Mexico Campaign, leaving a relatively limited amount of page space for Green's equally significant 1863-64 operations along the Texas coast and in Louisiana. A few paragraphs are devoted to Green's most serious defeat (at Fort Butler in June 1863), but perhaps the general's greatest victory in a mostly independent role, the battle fought at Kock's/Koch's/Cox's Plantation only weeks after Ft. Butler, is surprisingly mentioned only in passing. Sayers doesn't totally shy away from some of the more controversial aspects of Green's Civil War career, specifically his alleged heavy drinking. Several sources mention the general's affinity to alcohol, but signs seem to point toward its general limitation to off duty hours. On the other hand, it's debatable what role, if any, alcohol played in the foolhardy attack at Blair's Landing in 1864 that led to Green's death. Several accounts of his grisly demise exist but the book doesn't task itself with weighing the available evidence and offering its own interpretation of the event. Much has been written about Green's Confederate career in the sixteen years following the publication of Sayers's biography and there really isn't anything Civil War related in On Valor's Side that hasn't been covered since and with greater focus and depth. At this point in time, it's the other parts of the book, those comprising information about the public and private aspects of Green's domestic life and civilian occupations, that have the most value to Civil War students. Congratulations are in order for Jane Johansson, who recently announced that LSU Press accepted her latest manuscript for publication in the fall of 2016. The title will be A Constant School of Excitement: Albert C. Ellithorpe and the Civil War on the Frontier. Ellithorpe was an officer in the First Indian Home Guard regiment. In the bigger picture, no formal unit history exists for this unusual formation so hopefully Jane's work can also go some way toward addressing that deficiency. On her blog she notes that Ellithorpe kept a war journal and penned nearly two dozen Chicago Evening Journal articles along with a number of other documents so he sounds like a useful source for studying the war along the strife torn Kansas-Missouri-Arkansas-Indian Territory borderlands. I am very much looking forward to reading this upcoming work. Tooley: "THE PEACE THAT ALMOST WAS: The Forgotten Story of the 1861 Washington Peace Conference and the Final Attempt to Avert the Civil War"
In February 1861 a group of 131 commissioners representing twenty-one free and slave states met at Willard's Hotel in Washington with the goal of reaching a compromise agreement that would avert disunion and prevent a likely civil war. Differing little from the earlier Crittenden Compromise proposals, their recommendations similarly failed to gain any traction in Congress or among the newly elected Republican leadership and the rest is history. 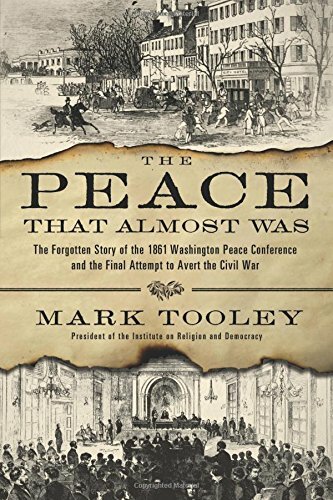 The story of the earnest yet ultimately fruitless Washington Peace Conference of 1861 is the subject of Mark Tooley's The Peace that Almost Was. All of the conference delegates could probably be classified as either conditional or unconditional unionists but it was clear from the start that fundamental (and likely irreconcilable) differences would derail any kind of compromise that would satisfy southern politicians as to legal protections accorded slavery both within the South and throughout prospective national territories. Distrust was abundant on both sides and some delegates seemed attentive only to sounding out the intentions of the other side, only feigning interest in finding acceptable "adjustments" to the nation's problems. Many southern observers viewed northern participation in the conference as being conducted in bad faith, with their only goal being to delay the possibility of Border State and Upper South secession until President-elect Lincoln was inaugurated and firmly seated at Washington. On the other side of the divide, some northern partisans viewed southern compromise efforts as thinly disguised blackmail. The Peace Conference itself, chaired by former president John Tyler, begins at the book's halfway point and those readers primarily seeking a detailed chronological account of the nearly three week long proceedings along with in-depth historical analysis of each point of debate will be largely disappointed. Tooley does describe each day's events but they are brief summaries written in the fashion of popular narrative (which he does quite well and in an evenhanded manner), with a heavy focus on personalities over procedures. Fairly or not, the conference comes across in the book as rather disorganized. Even though reporters were officially banned from attending, it's apparent that media leaks were prevalent as, in addition to Vermont commissioner Lucius Chittenden's journal, newspapers comprise much of the source material for Tooley's account. As stated above, the conference was clearly a failure, with everyone surely recognizing that the suggested amendments (among them even stronger fugitive slave laws, a new law requiring sectional approval of new territory acquisition, and guaranteed slavery protections where it already existed) would be dead on arrival in the halls of Congress. Those that still believe that slavery was not the cornerstone of secession should also be reminded that nearly every point of debate discussed at the conference directly involved that institution. Key to any negotiation is establishing the authority of the representatives of each side and in this case the delegates could only offer suggestions to the elected officials in Washington. It's unclear from reading the book how the country as a whole regarded the prospects of the peace conference. The advanced age of most of the commissioners led many newspaper editors to dismiss the entire effort on the grounds of fogy-ism. A curious aspect of the book is just how much of it focuses on the religious institutions of the nation's capital. Tooley devotes a great deal of space in the book to the city's churches and the men that led them. With the religious study backgrounds of both author and publisher, this special concern is not surprising but how it benefits this particular book is unclear given that religious leaders had no real role in the conference beyond opening prayers. Nevertheless, it might interest some readers to know that nearly all of the many clergymen profiled in the book were unionist and anti-slavery in sentiment. The title The Peace that Almost Was is a bit misleading as nothing in the book suggests that any kind of satisfactory sectional agreement was in the offing but Tooley's work generally succeeds as an engaging and well balanced popular history of the Washington Peace Conference. On the other hand, those seeking a deeper and wider scholarly analysis of the proceeding will have to look elsewhere for satisfaction. I was surprised to see Gettysburg Magazine appear in the local Barnes & Noble this week but I shouldn't have been given the bold "Current issues of Gettysburg Magazine are now available in bookstores throughout the US." notice on the website. It was priced at $13 retail so it looks like yearly subscribers do not get a discount on the biannual publication (a narrowing gap between newsstand prices and subscriber rates seems to be a broadening trend in the biz, at least by my limited sampling). Though I'm not personally interested in subscribing, I hope the new owners (Univ of Neb Press) are successful with it. 1. The Peace That Almost Was: The Forgotten Story of the 1861 Washington Peace Conference and the Final Attempt to Avert the Civil War by Mark Tooley (Thomas Nelson Pr, 2015). The provocative title seems to suggest a success potential for the last minute debates in Washington designed to avert war higher than the book's author actually believes (or at least that's what I gathered by skimming the final few pages). Tooley, the president of the Institute on Religion and Democracy, focuses a great deal on the influences of the clergy. 2. Pickett's Charge at Gettysburg: A Guide to the Most Famous Attack in American History by James A. Hessler and Wayne E. Motts (Savas Beatie, 2015). Hessler and Motts team up with cartographer Steven Stanley for this collection of four in-depth tours (the Confederate battle line, Pickett's Charge, the Pettigrew-Trimble charge, and the Union line) related to the key event of the battle's third day. The book also includes "dozens of full-color original maps, scores of battlefield and other historic photographs, a unique mix of rare human interest stories, discussions of leadership controversies, a full Order of Battle, and a rare collection of artifacts directly related to the charge." 3. The Gettysburg Cyclorama: The Turning Point of the Civil War on Canvas by Chris Brenneman and Sue Boardman with photographer Bill Dowling (Savas Beatie, 2015). "This in-depth study of the history of the cyclorama discusses every aspect of this treasure, which was first displayed in 1884 and underwent a massive restoration in 2008. Coverage includes not only how it was created and what it depicts, but the changes it has undergone and where and how it was moved. Authors Chris Brenneman and Sue Boardman also discuss in fascinating detail how the painting was interpreted by Civil War veterans in the late 19th Century.." I am looking forward to examining the painting details rendered clearer by Dowling's up-close digital photography (before now, my best views of Philippoteaux’s work were probably those reproduced for the Time-Life series of books). Wooster & Wooster, eds. : "LONE STAR BLUE AND GRAY: Essays on Texas and the Civil War, Second Edition"
The first edition of Lone Star Blue and Gray (THSA) was published in 1995 and edited by Ralph A. Wooster. Adding Robert Wooster as co-editor, Lone Star Blue and Gray: Essays on Texas and the Civil War, Second Edition (2015) retains five essays from the first edition while adding eleven new ones [For those who own the '95 edition, the holdovers are the articles authored by Jeanne Heidler, James Marten, Alwyn Barr, Anne Bailey, and Frank Smyrl]. As before, all selections are drawn from scholarly regional and topical historical journals like Southwestern Historical Quarterly, Military History of the Southwest, Journal of Southern History and others. In addition to the editors's general introduction, the essays are separately introduced with brief commentaries that conclude with a few suggested reading offerings. The Woosters divide the sixteen chapters into five thematic groupings: Beginnings, Home Fronts, War Fronts, The Soldiers, and Meanings of the War. The new edition has greater topical variety, more closely representing current trends in Civil War era scholarship. In Part 1: Beginnings, the first essay is an excellent literature review compiled by Walter Bell. It's quite comprehensive, with both text and notes listing and commenting on relevant books and journal articles dealing with military, political, judicial, social, economic, racial and gender issues. Archaeology articles and reports were not considered, an unfortunate choice given their clear demonstration in recent decades of the benefits of the multidisciplinary approach to history. This is followed by Andrew Lang's study of Texas historical memory during the secession crisis, where proponents of the movement offered a selectively positive and romantic view of the Texas Revolution and independent period as support for another radical leap of faith. Whereas all southern states could point to the American Revolution for ideological reinforcement of a new nationalism, Texans uniquely could look to their own more recent history (although relatively few current residents experienced it personally) for parallels in resorting to independence in order to secure rights threatened by higher government authorities (e.g. Mexico in 1836 and the U.S. 25 years later). Jeanne Heidler adds additional context to the surrender of U.S. forces in Texas in 1861. With previous studies centering on the conflicted loyalties and physical/mental debilities of department commander General David Twiggs, Heidler argues effectively that the War Department and executive leadership consistently ignored the Georgian's regular requests for guidance and thus shared significantly in the responsibility for the national embarrassment. Part II: Home Fronts is kicked off with David Humphrey's lengthy chapter examining how Austin citizens of all political stripes obtained their war news and how they reacted to the information, which was always late, frequently exaggerated, and often flat out wrong. With Confederate news sources gradually muted by the loss of first New Orleans then Vicksburg/Port Hudson, the citizens had to rely either on "Yankee news or no none at all" when it came to the eastern war. Residents had to go about their daily lives in an isolated corner of the Confederacy with no reliable information upon which to base present and future plans. This kind of information blackout is a rather underappreciated burden borne most heavily by Trans-Mississippi citizens. James Marten then offers an overview of slavery in Texas during 1861-65, which essentially differed little from other Deep South states but with two significant exceptions. Texas uniquely experienced a massive increase in slave population (perhaps 40,000 persons) from other Confederate states threatened by federal advances and it also shared a national border with anti-slavery Mexico. Joseph Brown and Zebulon Vance garner most of the attention when it comes to state governors who were thorns in the side of Confederate authorities, but, as John Moretta clearly shows in the section's third essay, Texas governor Pendleton Murrah could be just as difficult in his adherence to states' rights philosophy when it came to conscription and the cross border cotton trade. In the final chapter for this section, Glen Sample Ely documents the disastrously ineffective border defense of West Texas from Kiowa and Comanche incursions, a job which was largely ignored by the Confederate government and left to a thin line of resource starved state troops after the departure of federal garrisons in 1861. By the latter stages of the war, the western Texas frontier was back to what it was 25 years before the Civil War began. Support for the Confederacy crumbled in the chaos, leading to mass desertion and population exodus along with widespread life stock trading with the enemy. Ely's findings contradict many accepted conclusions about the effectiveness of Texas Rangers in West Texas border defense. The new volume sheds much of the earlier edition's military content. Part III: War Fronts begins with Alwyn Barr's classic and oft cited Centennial article on Texas coastal defense. Anne Bailey then discusses the reactions of Texas soldiers to contact with black troops on the battlefield, specifically what occurred during a cavalry raid in Louisiana three weeks after Milliken's Bend. Gary Joiner then concludes the section with a brief but solid overview of the role of Tom Green's Texas cavalry in the 1864 Red River Campaign. Another Centennial era article from 1961 begins Part IV: The Soldiers. In it Frank Smyrl discusses Texans that served the Union army during campaigns in both their home state and Louisiana. It remains a classic, though the fact that it mentions the large number of Mexican Texans in blue only in passing dates it, the work by Jerry Thompson and others in ensuing decades doing much to flesh out the whole scope of Union enlistment in the region. Charles Brooks's article is a detailed demographic and cultural analysis of Hood's Texas Brigade largely from the perspective of the enlisted men, who were closely representative of Texas society as a whole and who demanded and received heavy doses of compromise when it came to discipline, subordination, and the selection of those that would lead them into battle. Randolph Campbell's contribution is a quantitative study of the impact of the war on the military age population of Harrison County, Texas. It provides yet more clear evidence that the overly simplistic and still pervasive "rich man's war, poor man's fight" mantra needs to be drastically revised. Another interesting finding is the county's lower than expected military participation rate. The methodology employed leaves Campbell to believe that accepted estimates from other Confederate county and state studies might be too high. 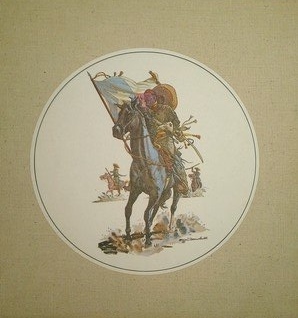 The last section, Part V: Meanings of the War, is led by Alexander Mendoza and his look at Laredo Tejanos in the army. Rather than trying to fit his subjects into Confederate or Union loyalties, Mendoza instead emphasizes a localized border identity among Tejanos that recognized town and family allegiances far more than shifting national ones. Joleene Maddox Snider then offers a colorful life portrait of Sarah Devereaux, a member of upper class East Texas society. Like many of her Deep South contemporaries, during the war she assumed many plantation roles and tasks traditionally performed by husbands. Her biography is remarkable for her sustained success as a female planter in the face of so many internal and external obstacles, with the 1856 death of her husband perhaps preparing her for the even greater adversities foisted upon her by Civil War events. In the book's final chapter, Jerry Thompson discusses the New Orleans disinterment and Texas reburial of Albert Sidney Johnston in the context of Reconstruction politics. 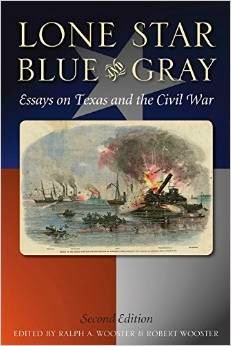 All of the articles in Lone Star Blue and Gray were previously published but the volume retains significant value as an expertly curated collection of articles that together comprise an excellent cross section of the Texas Civil War experience. With the great majority of Second Edition content being different, owners of the first edition of Lone Star Blue and Gray will want to add this new iteration to their bookshelves. I put in a review request for Philip Laino's new edition of Gettysburg Campaign Atlas (2015) a while ago and it slipped my mind as I never heard back from the publisher. It deserves belated mention as the GB world seems to swear by Laino's work. "The much anticipated 2015 revised and expanded edition of the Gettysburg Campaign Atlas. The revised Atlas has 510 pages containing 444 maps" and covers "the march to Gettysburg, July 1st, July 2nd, July 3rd and the retreat and pursuit." One rarely prefers books being spiral bound but in this case it might help use in the field. On another Gettysburg front, I predicted that Gettysburg, July 2: The Ebb and Flow of Battle (2013) by James A. "not the actor" Woods would sell out quickly and become a collector's item. Looks like there are still copies left for the stragglers. 1. Forts and Posts in Kansas During the Civil War: 1861-1865 by William C. Pollard, Jr. (Author, 2015). This oversize softcover briefly explores a number of Kansas Civil War camps, forts, posts, etc. (over 50 of them). Each entry gets somewhere between one and a handful of pages of well researched narrative devoted to it. The appendices help with finding the sites today, providing GPS coordinates and also pinpointing locations on modern plat maps. Additionally, there are numerous line drawings tracing in some detail the current and/or historical layouts of many of the sites. The list price of just over $12 is practically a giveaway for this valuable reference tool. 2. Union General Gouverneur Warren: Hero at Little Round Top, Disgrace at Five Forks by Donald R. Jermann (McFarland, 2015). Whatever one thinks of G.K. Warren as a corps commander or whether he should have been relieved at Five Forks, he clearly deserved a more honorable end to his Civil War career than the vulgar dismissal he received from Phil Sheridan. Examining extensively the testimony from the post-war court of inquiry, Jermann's book seeks to clearly establish the facts of the case as far as they can be determined and let the reader decide whether Sheridan's actions were justified. "Sabers on the Rio Grande"
If you read a lot of books and articles about the Civil War in Texas, Jerry Thompson's Sabers on the Rio Grande (Presidial Press, 1974) appears with some frequency in the notes. With copies on the secondary market running into three figures and making an impulse buy out of the question, I recently decided to borrow a copy through interlibrary loan. The impression that the book is primarily a Civil War study proved to be a greatly mistaken one. The formal title presented in the introduction, Sabers on the Rio Grande. Laredo: A Military History, 1755-1865, better informs readers of content coverage but it generally doesn't appear that way in citations (or at least that's how I recall it). The volume is a set of revised historical articles that Thompson submitted to the Laredo Times newspaper between September 1973 and August 1974. Together, the pieces comprise a military history of Laredo, Texas from the colonial period through the end of the Civil War. It begins with Spanish Conquistadors and colonizers and covers a broad array of armed conflicts involving at one time or another Spaniards, Mexicans, Indians, Texians, and the U.S. military. Actual Civil War content is very limited (less than 10% of the book), with Thompson only briefly profiling Confederate officer Santos Benavides, the "battle" of Laredo, and the Rio Grande Expedition. The material isn't sourced but bibliography and bibliographical essay both indicate scholarly research was applied to the project. Even so, for today's reader the Civil War subject matter presented in Sabers on the Rio Grande is better covered elsewhere in the literature by the later writings of Thompson and others. The book itself is a handsome 10.25x10.25 in. square cloth hardcover [note to publishers: white or off-white cloth might look great just off the presses but doesn't hold up to the shelf and finger grime of the decades!] released in a numbered edition, 500 in total. There are no maps but a full color art print is pasted in between each chapter. It's an interesting collectible Texas military history title but high price paired with paucity of Civil War content certainly impacts its desirability to specialists. 1. The Last Hurrah: Sterling Price's Missouri Expedition of 1864 by Kyle S. Sinisi (Rowman & Littlefield, 2015). This project has been long in coming and it looks like the wait has been well worth it. Sinisi's book is the first full military treatment of the operation, one of the largest conducted in the Trans-Mississippi theater. A fine looking map set was also commissioned to accompany the work, an important asset given the generally poor state of the cartography in the existing Price Raid literature. 2. A Yankee Scholar in Coastal South Carolina: William Francis Allen's Civil War Journals edited by James Robert Hester (USC Pr, 2015). "During the Civil War, (Allen) served from late 1863 through mid-1864 as a member of the "Gideonite band" of businessmen, missionaries, and teachers who migrated to the South Carolina Sea Islands as part of the Port Royal Experiment. After the war, he served as assistant superintendent of schools in Charleston from April through July 1865. Allen kept journals during his assignments in South Carolina in which he recorded events and impressions of about several hundred people, especially ex-slaves, along with fellow Gideonites, Union soldiers and officials, and ex-Confederates." 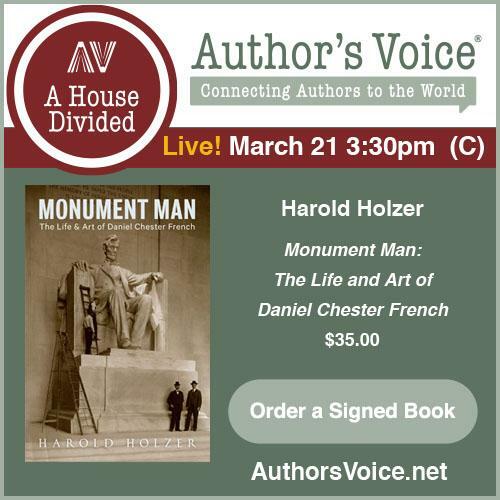 Hester annotates Allen's journals, which were written through the lens of a trained historian. The editor also provides a short biography in the introduction and covers some of Allen's essay work. Robertson: "THE FIRST BATTLE FOR PETERSBURG: The Attack and Defense of the Cockade City, June 9, 1864"
William Glenn Robertson is an acknowledged expert on Union Major General Benjamin Butler's Army of the James, his Back Door to Richmond (1987) one of two well regarded histories of the Bermuda Hundred Campaign conducted during the spring of 1864. As part of the H.E. Howard Virginia Civil War Battles and Leaders series, Robertson also authored a fine treatment of the first serious Union attack on the Cockade City titled The Petersburg Campaign: The Battle of Old Men and Young Boys, June 9, 1864 (1989). 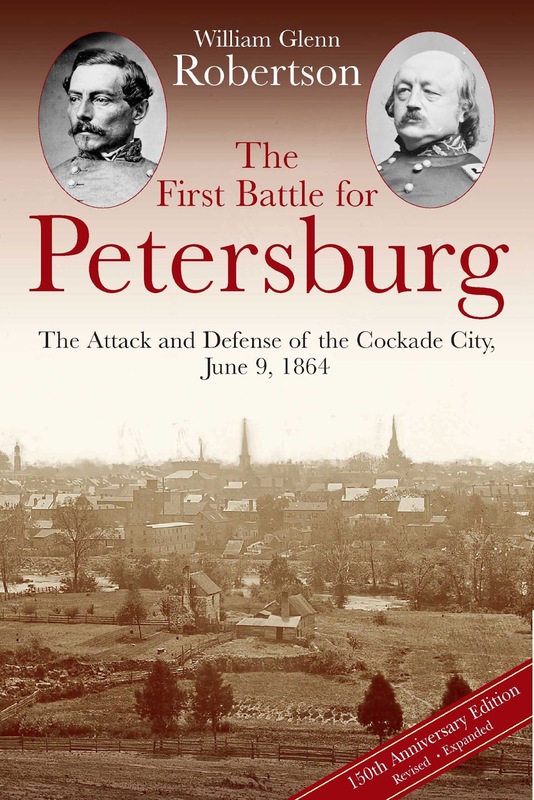 The book has now been reissued by publisher Savas Beatie in a revised and expanded 130th Anniversary Edition* under the new title The First Battle for Petersburg: The Attack and Defense of the Cockade City, June 9, 1864. The book is a very good operational and tactical account of Butler's brainchild, a promising plan to enter Petersburg using 5,000 infantry and cavalry and destroy the Appomattox bridges critical to keeping Richmond and Lee's army supplied. Coordinating three columns for an attack on a fortified city was risky but the Petersburg garrison was known to be weak. At the last moment, corps commander Quincy Gillmore pulled rank and successfully petitioned Butler for command of the expedition, which consisted of two infantry brigades under Joseph Hawley and Edward Hinks and August Kautz's much reduced cavalry division. The approach march to Petersburg was botched, and Hawley and Hinks would be hours behind schedule before they deployed opposite the east face of Petersburg's Dimmock Line (astride the City Point and Jordan Point roads, respectively). Intimidated by the earthwork defenses and not realizing the true weakness of the Confederates (around 1,300 militia, reserves, and regular troops under the command of General Henry Wise), both Hawley and Hinks declined to attack, their cautious concerns shared by Gillmore. While Gillmore began withdrawing in unseemly haste, Kautz and his cavalry were approaching the Dimmock Line from the south after a longer than expected ride. There, the 130 armed civilian defenders, untrained older men and younger boys not eligible for conscription, put up a spirited fight at Rives's Farm before being outflanked and routed. Confederate reinforcements arrived just in time and halted the Union cavalry's advance at the outskirts of town, finally convincing Kautz to withdraw. Robertson's battle narrative is skillfully crafted. Although the relatively small number of units involved made the job less complicated, creating a comprehensive company-level tactical study that's easy to follow is no simple task, and the author succeeds admirably. The terrain, along with the Confederate works sited to exploit the natural defensive benefits, had a major effect on the course of the battle (especially in convincing Hawley and Hinks to abort their attacks) and Robertson very effectively conveys to the reader his expert knowledge of the ground. Greatly assisting understanding are the book's fine maps. In providing a wider strategic view of the Bermuda Hundred-Petersburg front, a tracing of the road network and approach march of Gillmore's command, and detailed tactical views of the four main seats of action [City Point Road (Hawley), Jordan Point Road (Hinks), Rives's Farm (Kautz), and the Reservoir/Blandford Church line (Kautz)], the maps closely connect the reader to the text descriptions of the marching and fighting. The gallant stand of Archer's Battalion of militia and reserves at the Rives's Farm, which cost the novice warriors nearly 60% casualties, was a remarkable feat given the almost uniformly dismal Civil War performances of auxiliary formations of this type. The time Archer bought for the arrival of reinforcements was a critical factor in keeping Kautz out of the city and away from the bridges. This local participation being a major part of the battle, Robertson's work also includes a great deal of background information about the individuals that served in Archer's command, their commercial and family connections with the city, and their specific roles in the June 9 fighting. Appendix 3 also offers a detailed casualty list for the Rives's Farm defenders. The story of the June 9 attack and defense of Petersburg reminds us why nothing is a sure thing in war. On the Confederate side, Henry Wise had one of his best moments of the war while the last second insertion of incompetent field commander Gillmore into the leadership structure of the Union expedition almost ensured a slow advance and timid attack posture. On paper the operation should have been a walkover, for the qualitative and quantitative advantages possessed by the federals appear insurmountable, but friction and fog of war are part and parcel of all military operations. But the importance of June 9 went beyond a single unfortunate Union defeat and surprising Confederate victory. In Robertson's view, the failed operation also had significant long term consequences, drawing immediate Confederate attention to the need for reinforcement and improvement of the Petersburg defenses. These enhancements, small as they might have been, would be key factors in yet another highly improbable Confederate success against long odds on June 15-18, one that would consign both sides to an almost ten-month stalemate. 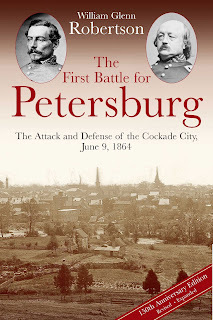 The First Battle for Petersburg is a highly recommended addition to the library of anyone studying the 1864-65 Richmond-Petersburg Campaign. * - I haven't read the original edition so I can't comment on the specific nature of the revision work for the Sesquicentennial edition. The maps are new and presumably there is fresh information based on updated research integrated throughout the book. Owners of the first edition who remain interested in the subject will surely want to pick up a copy of this enhanced replacement.